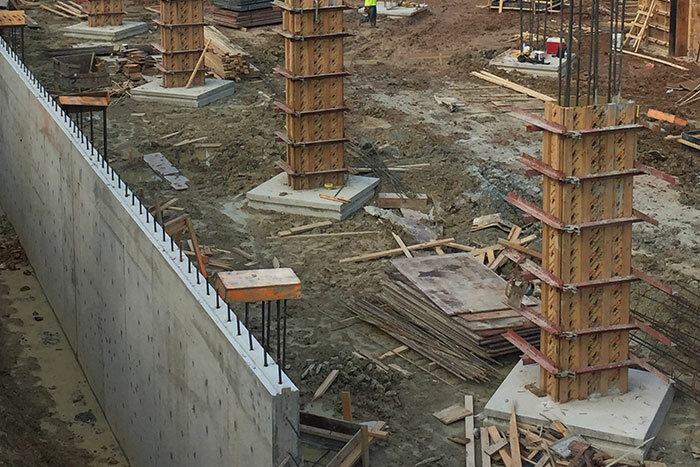 PENETRON ADMIX SB in soluble bags, added to the concrete at the time of batching at the ready-mix plant, was used to treat all concrete for the below-grade walls and foundation slab of the three-floor parking structure that accommodates 292 parking spaces. In addition, PENECRETE MORTAR was applied to seal all tie-holes and any cracks in the new concrete. The convenience and ease of use of premeasured PENETRON ADMIX in soluble bags help to simplify the batching process and ensures the correct mixing for any project. The bags dissolve quickly and completely during mixing.